Welcome to Mizzou Merit Badge Day 2018!! We are looking forward to you and your Troop joining us and over 1000 other Scouts and Scouters from across the region on Saturday September 29th, 2018. 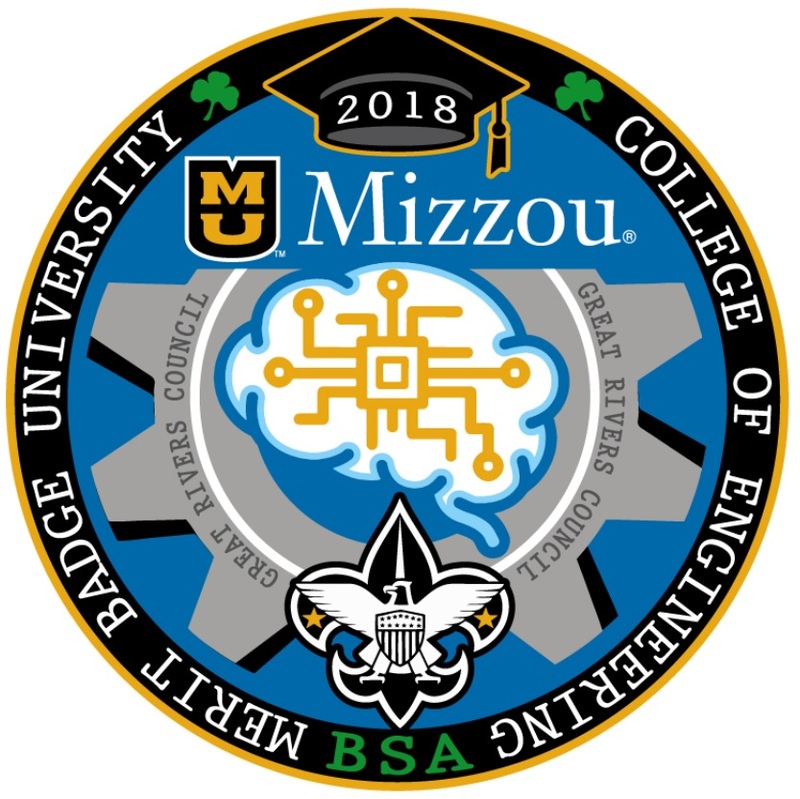 We are excited to have once again partnered with the College of Engineering to bring you a day full of great merit badge classes taught by the best counselors, and have added several new badges for 2018! We will be posting ongoing updates, including videos, schedules, and special announcements about the event on this page, so please check back often. Registration for this AMAZING event is NOW OPEN. The cost for the 2018 Merit Badge Day is $22/Scout and includes all program supplies, a souvenir, event patch and lunch. Adults/leaders can also purchase meals for $8 by contacting Jessica Maurer at the Great Rivers Council office at (573) 449-2561. 2 - A family illness or an emergency prevents the Scout's attendance at the Merit Badge University. The list of Merit Badges being offered in 2018 is below, and pre-requisite information (where available) is found in the registration system with each class. We will also produce a master list of pre-requisites and post it on this page. Classes marked with an * are half-day classes. Pre-requisites are still being determined for some badges, but a master list can be located at the link below. NOTE - Dentistry and Sustainability Merit Badges have separate documents for their pre-requisites. Merit Badge University Refund Policy Refund requests must be submitted in writing to david.harris@scouting.org prior to September 28, 2018. If the refund is granted, a 20% readiness fee will be withheld. After September 28, no refunds will be granted, no exceptions - other than for cancellation of a class. A unit leader, parent, or Scout may only request a refund of the fees under the following conditions: 1. Illness or serious accident of the Scout prevents his attendance at the Merit Badge University 2. A family illness or an emergency prevents the Scouts attendance at the Merit Badge University.